Stunning and unique for the golf course, hand crafted, Goodyear Welted tri color wingtip lace up shoes. 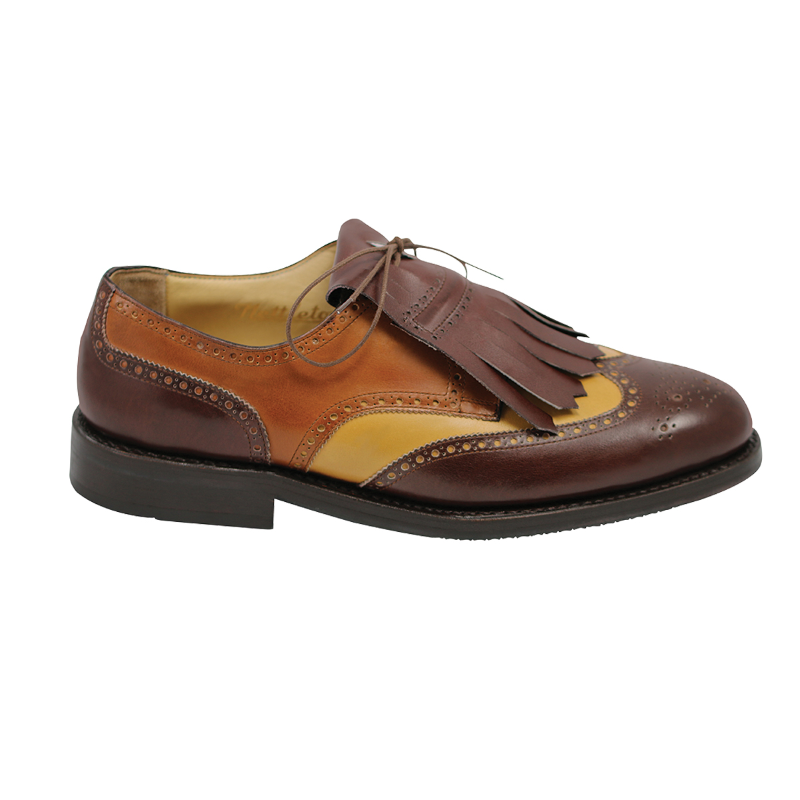 Features brogue and medallion toe detailing. Full leather lining for comfort, and leather sole with stacked heel. This is style to the next level for the course. Handmade in Belgium.